Along with double RP and a bunch of deals. 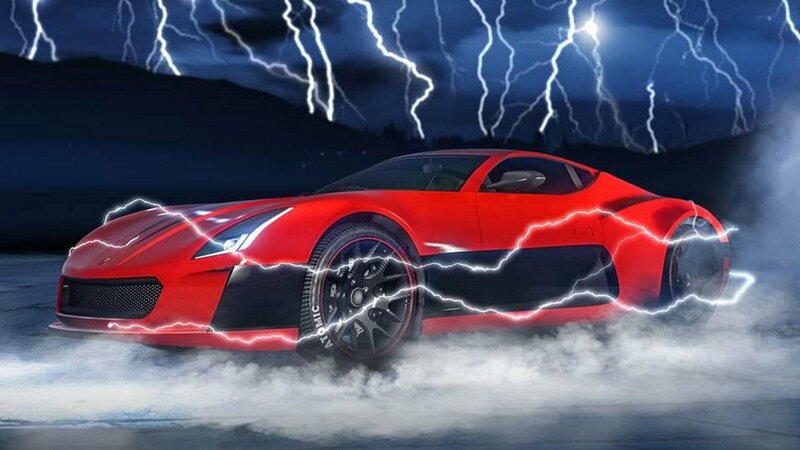 GTA 5 is adding an electric supercar, the Coil Cyclone. Rockstar's announcement states the that "The Coil Cyclone is here to prove one thing: the days of the combustion engine are over." Well it certainly looks shine enough. You can grab the new beast from Legendary Motorsport. Along with the new vehicle, you’ll be able to earn double GTA$ and RP for the entire week. If you fancy earning more, this week’s Premium Race and time trial offer triple RP for any contenders, with GTA$ on the line for the top 3 spots in Premium Race and anyone who beats par time in Time Trial. All in all that's plenty of reason to jump back in, if only to see how that new car handles.